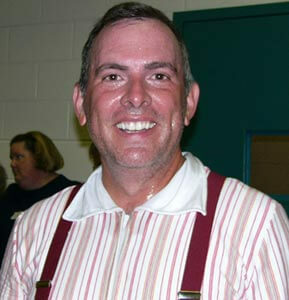 Russell Bertles had never marched in a drum corps before joining the all-age CorpsVets in his 40s. As a color guard instructor of more than 25 years, he now uses his experiences with this all-age corps as an outlet to perform as well as to continue his growth and learning in the color guard field. DCI.org's Chrstina Mavroudis-Dempsey caught up with Bertles in Atlanta.